Warner Music Group has acquired Russia’s oldest independent recording company Gala Records, the companies said in a joint statement. 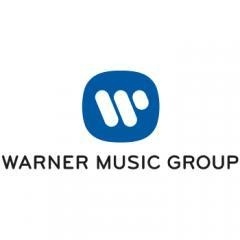 “We are delighted to welcome Gala to the Warner Music family. Russia represents a significant opportunity and, with Gala spearheading our operations there, we will be well positioned for growth in this vibrant and dynamic market” Stephen Cooper, the CEO of Warner Music Group said. “We have great confidence that Alexander and his team will help us fulfil the potential that Russia offers for our artists, our consumers and our business,” added Cooper. The acquisition will mark WMG’s first wholly-owned local presence in Russia. Gala Records was founded in 1988 and was the first privately-owned record label in Russia, involved in music recording, distribution, publishing and live production. Gala has also represented some of the biggest names in Russia’s music scene – including Alla Pugacheva, Irina Allegrova, Car-Man and Nikolai Baskov. “We are joining one of the most experienced and professional teams in the music industry and one that shares our passion and love for music” Alexander Blinov, Gala’s CEO said. “WMG’s expertise and involvement is extremely valuable for the developing Russian music market, and will strengthen our efforts to foster its growth. “WMG and Gala are driven by the same priorities and goals: we both place huge emphasis on developing great artists. WMG will make an ideal home for Gala’s artists and writers and Russia’s abundant creative talent will have a wider access to the world audience” said Blinov.